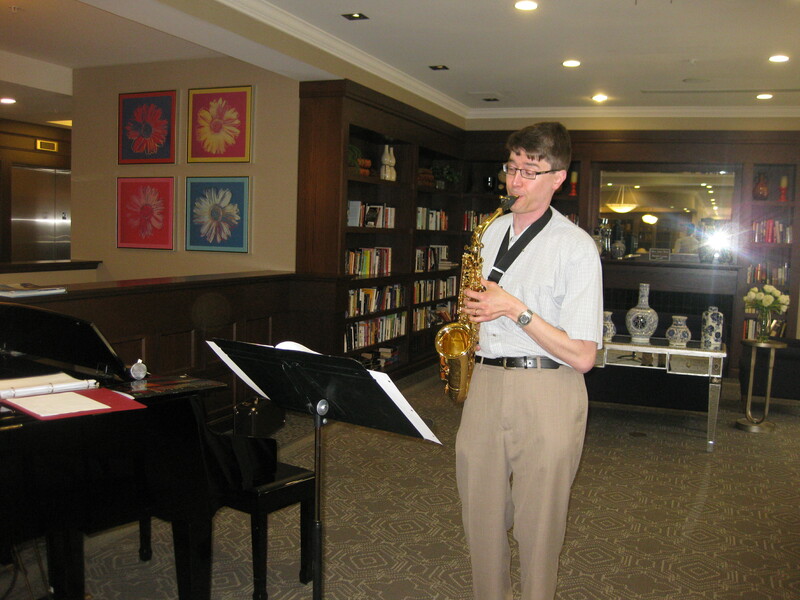 I have performed as a Seniors’ Entertainer at seniors’ residences around York Region. With a program that involves playing saxophone as well as vocals with piano, I have a lot of fun playing songs that appeal to seniors. Styles of music include: oldies & popular songs from the 1930s, 40s, 50s, 60s and 70s; jazz standards. I also do themes such as Birthday celebrations, St Patrick’s Day, Valentine’s Day, Christmas, and Easter. The hymn sings I lead are also popular at several seniors’ homes. Some favourite performers I feature are: Frank Sinatra, Glenn Miller, Duke Ellington, as well as famous Broadway and folk songs. Please contact Tim Snyder by Email at: td.snyder88@gmail.com for any questions or to book an upcoming show for seniors.